Alum stone, combined with active plant ferments effectively fights against bad odours and naturally limits sweating without blocking it. 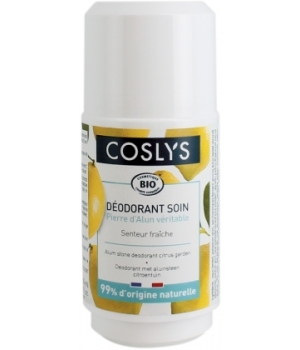 Enriched with protective active ingredients, this deodorant preserves your skin. Its 100% natural fresh and tonic fragrance accompanies you all day. For men or women. aqua, potassium alum, saccharomyces ferment, prunus dulcis oleosomes, xanthan gum, aloe barbadensis leaf juice powder*, glycerin, parfum, benzyl alcohol, citric acid , dehydroacetic acid, gluconolactone, sodium benzoate, potassium sorbate, Linalool, Limonene, Citronellol, Geraniol, Citral.